Maria Rohlinger was born in 1950 in Lingen/Ems in Germany. 1955 the family moved to Cologne. Maria experienced school in an all-boys surrounding, nevertheless she was clear about a female indentity since she was seven years old. Her secret life as a girl started. She went on to study Philosophy, History, Social Sciences and Political Schiences at the University of Cologne, and has worked in the field of historical social research and empirical social research since 1974. From 1979 till present she has been teaching at University of Cologne, teaching post-graduates since 1982. In 1994 she also taught at the Technical University Dresden, and in1996/97 she taught at European Summer School in Social Science Data Analysis - University of Essex. certificate. Hormone treatment and SRS are paid for by health insurance. Many TS chose their own way of transition, TSG only puts up a frame. There is not just one standard TS-biography. Generally spoken, time between Coming-out and name change is about three years (two independent expertises required by 'shrink'/medical doctor), aprox. another two years until OP indication (additional two expertises must be provided to get indication), then waiting list...The more prominent specialists put you on a list for more than one year, worst case even three years (imagine that!). Maria was lucky, she had strong support by other TS, managed to 'wrap it all up' in less than two years. Same story as with so many of us. When she finally received the 'go' statement from surgeon for SRS she broke down and cried with relief and happiness - that was on Friday 13th 1999, SRS was three days later. Though TSG in Germany also covers special regulations for shelter in job and social life for TS people, many TS nevertheless suffer from mobbing and other offenses. Maria was protected. She kept her job and was smoothed over to her new life by her colleagues. Backed up with the happiness of new life she chose to be amongst the founding people of 'dgti' (Deutsche Gesellschaft für Transindentität und Intersexualität) a lobby organisation for TG/TV/IS/TS people. Later she also engaged in local politics. 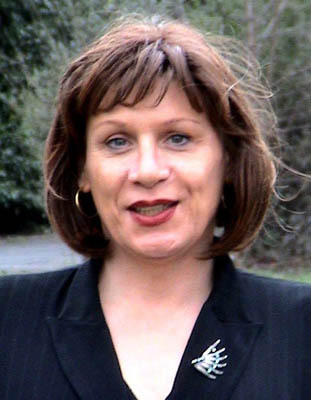 Maria was elected to Bezirksvertretung Koeln Innenstadt in 1999, which is a sub-parliament of the City Council of Cologne. In her professional career she was promoted to become the coordinator of teaching post-graduates at the Central Archive for Empirical Social Research. Her research work is in the areas of statistics, methodology, quantitative historical research and empirical social research, and she also counsels ongoing research projects. Maria currently enjoys travelling widely to interact with the sociological research community [Maria recently went to Brisbane, Australia to give a talk at World Congress of Sociology].